Only 237 Booking slots left – book now! Are you looking for an easier way to recycle? Do you or your workplace lack the time and money to take your recycling to suitable disposal points? 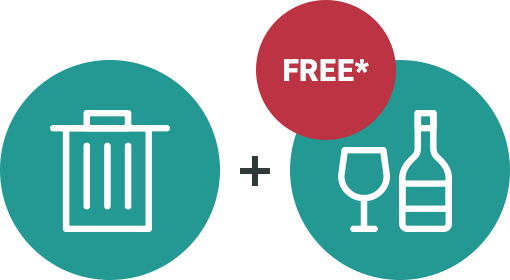 FreeCollections.co.uk is a waste collections company that offers free glass collections. Our aim to assist in the recycling of glass from businesses that have only a general waste collection or other recycling bins. Our service aims to encourage recycling across the locations we work in, including Wakefield. By doing this, FreeCollections.co.uk hopes to discourage people and their businesses from putting glass waste into landfill. 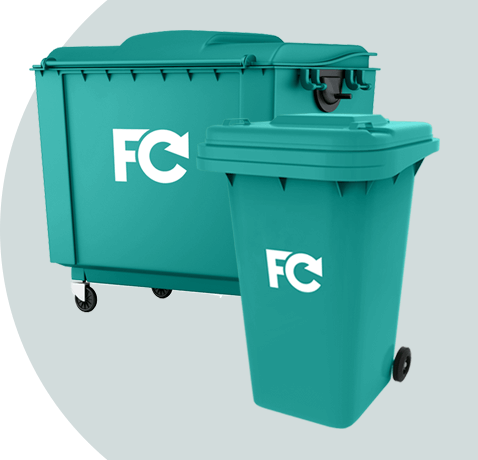 As well as offering our glass collection service, FreeCollections.co.uk also offer all other standard waste services and can collect any waste from your property to ensure it is disposed of properly. FreeCollections.co.uk is dedicated to cleaning up waste and encouraging recycling all across Wakefield. Wakefield is a bustling city in West Yorkshire with a history of industry and pollution. There are ongoing regeneration projects within the city including department stores, supermarkets and shop units. The ‘Wakefield Waterfront’ along the canal includes a refurbishment of the Navigation Warehouse and the addition of retail, restaurant and café units. Becoming a ‘green’ city is a natural next step – and we can help! If you are a local business in Wakefield looking to downsize your carbon footprint and become a green business, partnering with FreeCollections.co.uk will help you to recycle the glass waste from your organisation and prevent it from going to landfill. We work all over the city to provide this service so regardless of your location within the Wakefield city limits, we can help you recycle more and help you to become more of a green business. If you are looking to recycle more within your business, join the waiting list for free collections. We work off a first come first serve basis so joining the waiting list will ensure you are alerted once the service becomes available. We also offer a low-cost service for collections, helping both you and the environment. We also offer all other standard waste services and can collect any waste. Entrusting us with your waste ensures you are recycling as much as possible, ensuring your business makes a positive green impact.